Asked about differences within the opposition ranks, Gandhi said secular forces are together in various states to defeat the BJP. 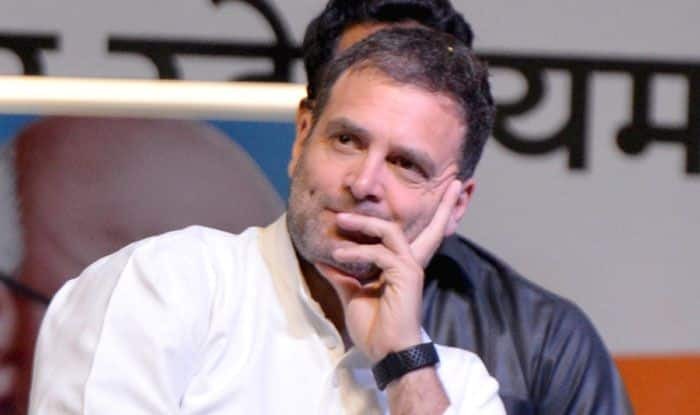 A post-poll alliance is ‘absolutely’ possible after the Lok Sabha elections as all the opposition parties are ‘united’ in defeating the BJP in the interest of the country, Congress president Rahul Gandhi has said. Stating that the ‘job no. 1’ is to defeat Prime Minister Narendra Modi, Gandhi also said secular formations are in place in various states and that BJP will be facing ‘strong’ opposition candidates all over the country. “For the entire opposition, the job number one is to defeat Mr Narendra Modi and save Democracy and the Constitution. To stop the BJP from destroying India’s institutions and its social fabric. To stimulate growth, propel economy, create jobs, ensure harmony, and address injustice and inequality. In this, we are all united,” Gandhi told PTI in an interview. Asked about differences within the opposition ranks, with some even blaming the Congress for not putting up a united fight, Gandhi said secular forces are together in various states to defeat the BJP. “There is an understanding among all opposition parties that the BJP has to be defeated in the interest of the country. The BJP is attacking and destroying our institutions. It has played havoc with our economy. It has hurt India. It has to be fought in nation’s interest,” he said. He cited the example of West Bengal and said a secular formation is going to win there. “In UP, there is an alliance. Congress is not part of that alliance but there is an alliance. In Maharashtra, there is an alliance. In Jharkhand, there is an alliance. In Jammu and Kashmir, there is an alliance. In Karnataka and Tamil Nadu, there is an alliance. Where isn’t there an alliance?,” he asked. He said some parties in UP chose not to have the Congress as part of the alliance they formed. “It’s okay. Congress will build its ideology and roots in UP. We will fight our battle. Entire nation is united against the BJP,” he said. The Congress has been left out by the Samajwadi Party(SP)-Bahujan Samaj Party(BSP) alliance in Uttar Pradesh and it has failed to forge an alliance with the Left in West Bengal and with the ruling AAP in Delhi. The decision of the party to field Congress chief Rahul Gandhi from Wayanad in Kerala has also hurt the CPI-M, which is peeved by the action and has claimed that it will use all its force to defeat Gandhi from the seat. The Congress chief’s recent outbursts against West Bengal chief minister Mamata Banerjee also did not bode well for the opposition unity as it evoked an angry reaction from the TMC chief who said “he is just a kid”. The AAP has also accused the Congress and Gandhi of being “arrogant” and blamed them for not forging an alliance in Delhi.